Most would think the end of the symptoms of infection means you will no longer have to deal with that illness. In childhood many got chicken pox (Varicella zoster virus), producing a skin rash that lasts about 6 days. This usually creates a permanent immunity to Chicken Pox. However, this virus lays dormant in nerve tissue and can be reactivated in older adults as Herpes zoster (shingles). This usually happens when the immune system is compromised, particularly after an emotional upset. So the same organism causes two different sets of symptoms with different names. The pain of shingles known as postherpatic neuralgia can be almost unbearable. A shingles vaccination, known as Zostavax, became available in 2006 but had limited availability. It is the same virus as the Chicken Pox vaccine only stronger. 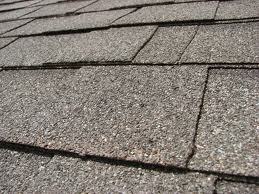 Over the last 5 years, I have observed an increase in the number of shingles patients. Some speculation suggests a correlation with the chicken pox vaccine, or shingles vaccine causing reactivation of the virus. I know of one individual that got shingles after getting Zostavax. Other factors could include an overall lowering of community immune function. Prescription treatments include antivirals, gabapentin, and other pain medications. The homeopathic approach includes Apis mellifica for initial burning and tingling sensations. Rhus toxicodendron is used for the blister stage. Mezereum can be used for the crusting stage. Cortsym Gel or Calendula cream can be applied topically. Neuropain HP can be used for nerve pain. Another product is the Herpes Zoster Series Therapy that contains 10 single vials of the virus in homeopathic form. Each vial is a different potency and can be taken as a preventative or treatment.